Victoria combines two of her favorite ingredients to deliver the big flavor impact for which Victoria Gourmet is known. 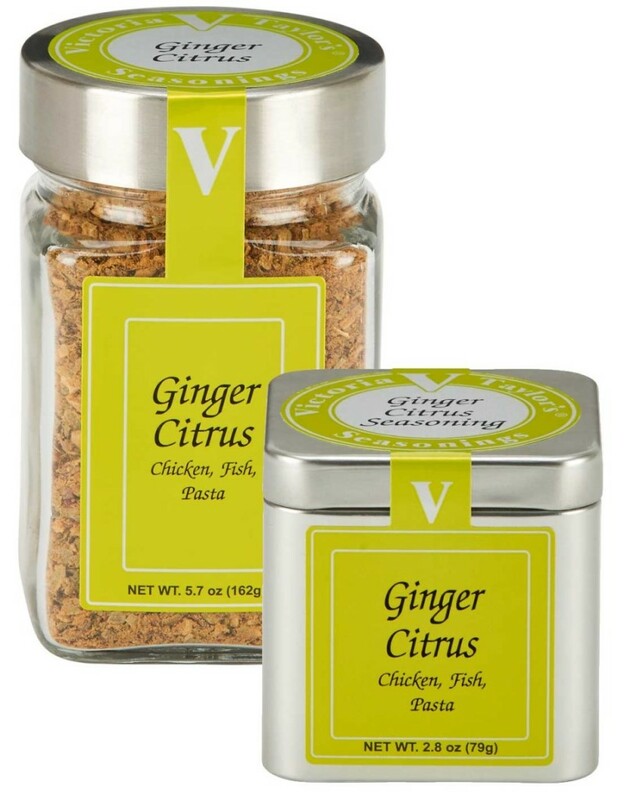 Our Ginger Citrus Seasoning blends the warm, pungent flavor of ginger and the tart bright taste of orange and lemon for a delicious taste experience that's a perfect complement to chicken, fish or pasta. mixed spices (including ginger 16%, and black pepper), onion and garlic, demerara sugar, orange peel, sea salt, red bell pepper, citric acid, sesame oil, orange oil, ginger oil, and oleoresin paprika. I just bought your Ginger Citrus Seasoning for the very first time and I could not believe how wonderful it made my chicken taste. I will definitely be ordering more products in the future. Thank you for a wonderful product.